Purely by accident, I've somehow fallen into an earth, wind and fire theme to my blog book reviews. Black Country Allotment Society and Seeds by Jos Jansen were earth. Next comes Oben by Diane Vincent which is most definitely Wind. 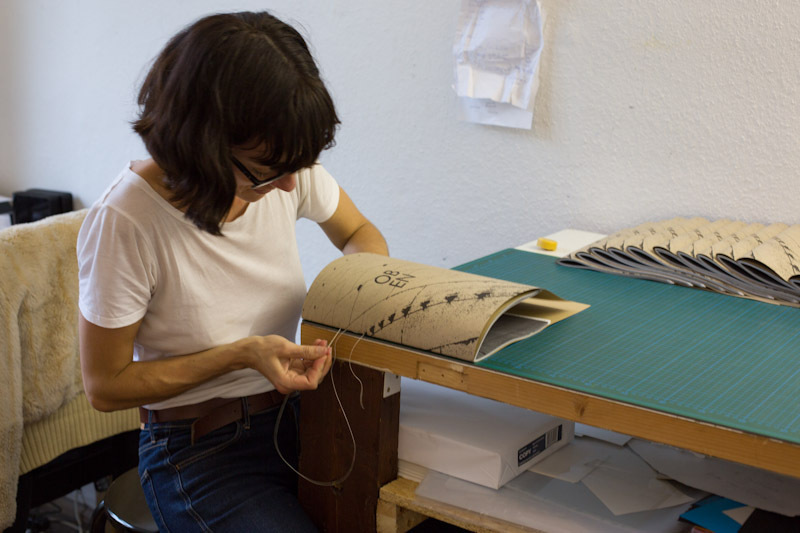 Oben is a lovely book with a card cover over a single signature all sewn up with a single strand of thread, ends showing, waxed with the wax of bees kept on the very rooftops Vincent photographed. It feels nice. It feels fresh, as fresh as the wind that blows over the rooftops of a city. 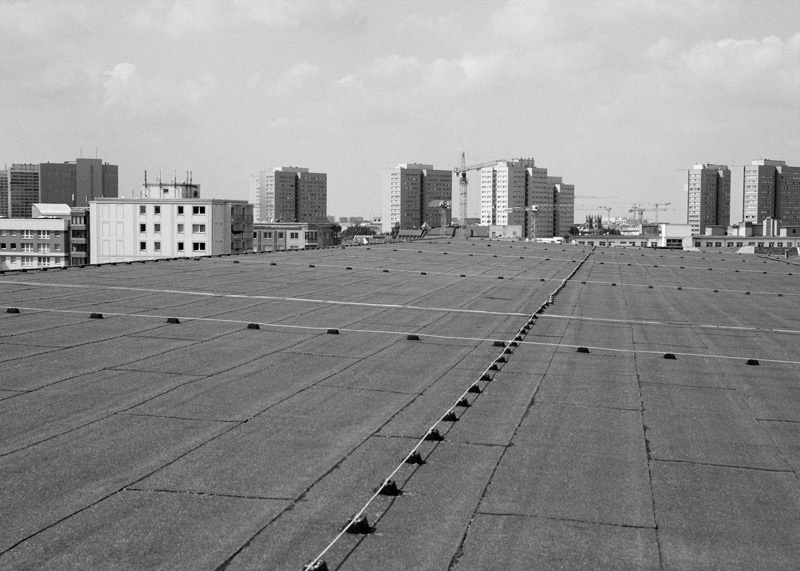 And that's what it is, a book of the rooftops of Berlin. I like that idea. I empathise with it because I used to live in Jakarta. It was a city full of new skyscrapers. 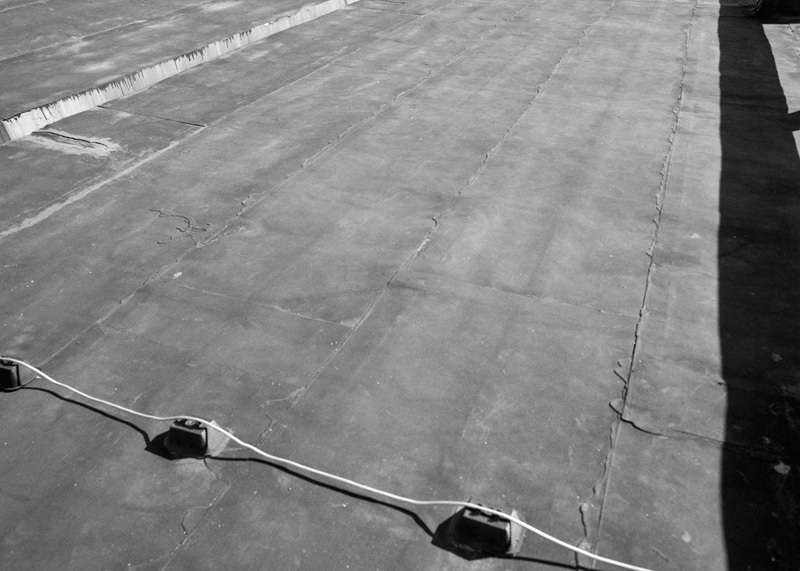 I used to get to the top of them and enjoy the fresher air 20 stories above the tropical street fumes of the city's downtown. You get a different perspective from the top; different sights, different smells, different sounds, different air, and a different geography. 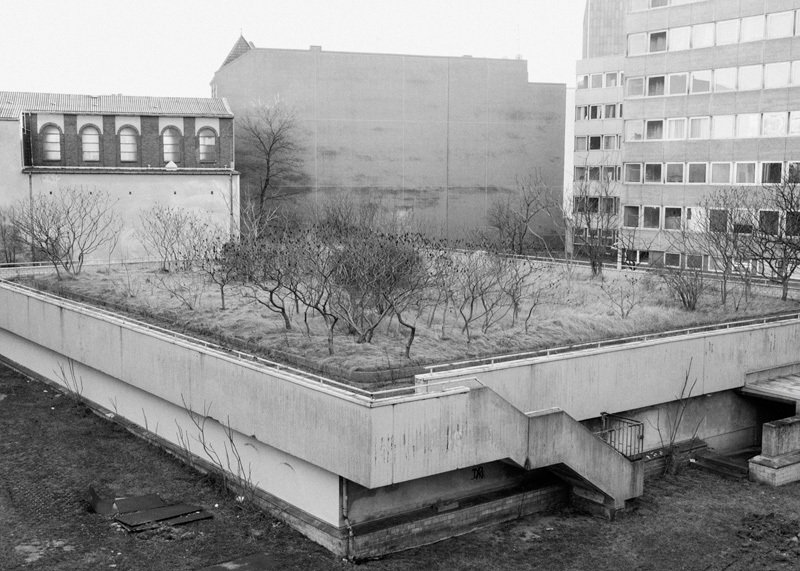 And that is what Oben replicates, that world of the rooftops, the Berlin rooftops (which automatically brings to mind Wings of Desire and a few other things - there's may be a nod to that in the book). 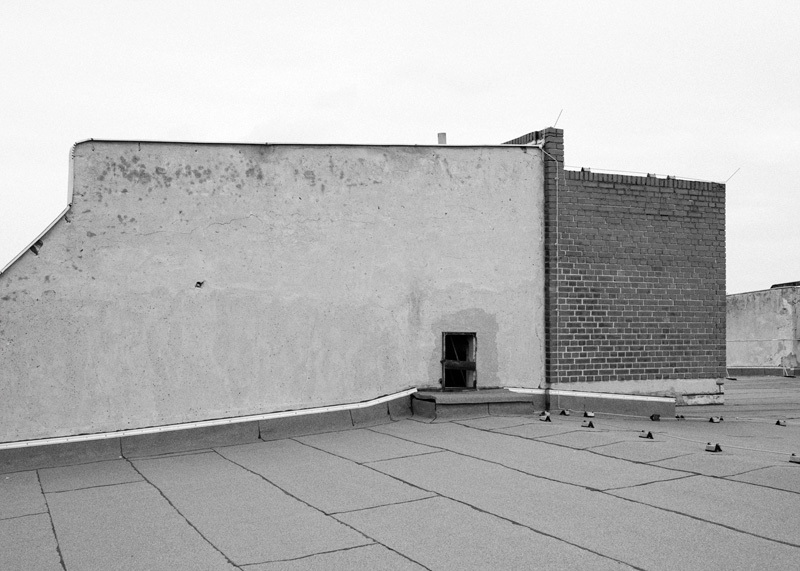 Instead it's a muted tour of the shapes and textures of the Berlin skyline; the anonymity of the immediate architecture mixed with the occasional landmark, the blankness of the leaded rooftops, the crunch of the tarred apartment tops, the rise of construction cranes, the curve of the satellite dishes and the oddness of the chimney stacks. It's New Topographic but without their brutal rigoour. The camera looks across, it looks down and it looks up. It's very grey and very quiet. The only sound up there is the wind, but we don't see that. And read Lens Culture's Review here. 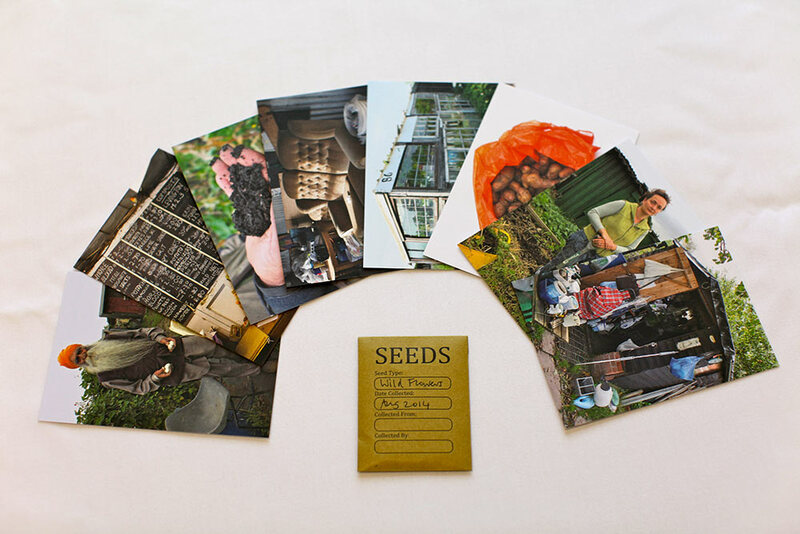 It seems that a natural progression from the last post on Black Country Allotment Society should be Jos Jansen's Seeds. The basic drift is given in this blurb. In this book Jos Jansen examines how innovative food crops are developed and how this process bears upon the world food problem. SEEDS is about Darwin’s natural selection and how it has long been overtaken by high-tech plant breeding. The project focuses on the aspect of how new food crops that are resistant to pests and diseases are bred, and therefore contribute significantly to our future food supply. 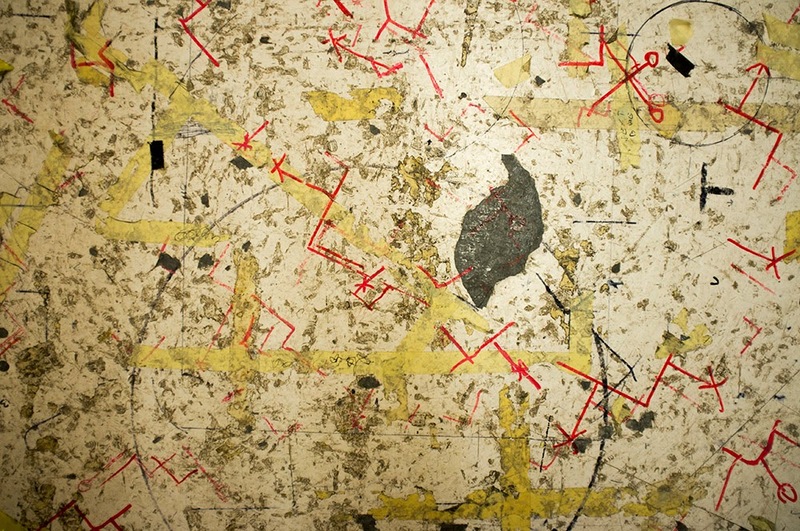 Behind the images in this project, quintessential questions arise. Who is actually in charge on this planet? Nature? Human beings? A god? Should humans stop interfering with evolution and go back to the authenticity of small-scale farms and city farming? Or rather, is it humanity’s duty to steer evolution so that we can create enough food to feed the booming world population? What is natural and unnatural? And what does ‘natural’ mean anyway? Where the allotment book came with a packet of seeds, this one is all about seeds, seeds as the holder of life, as the beginning of life, as a transition in life. If it's not a disaster in the making, how do you know. What are the measuring points, where is the base line and where do you end? 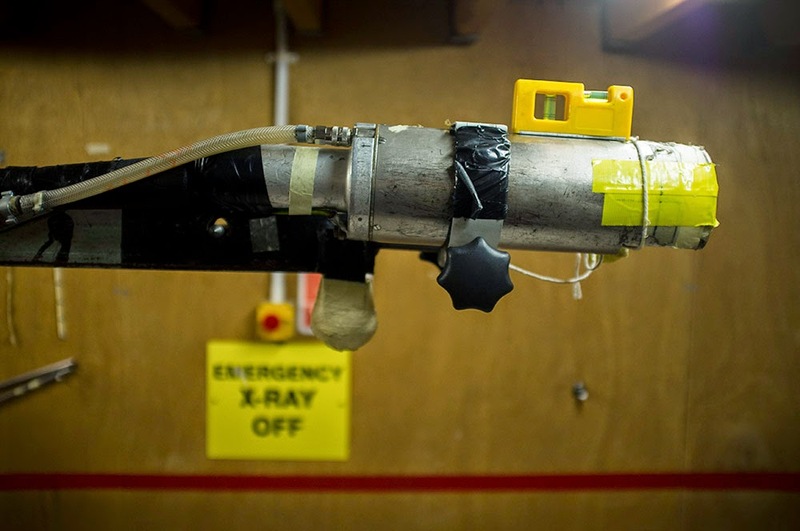 How long does the testing last and does it consider what will happen not 2 or 3 years down the road but 100, 500 or 1,000 years down the road. Considering the devastation wreaked upon the earth in the last 100 yearsand how we continually shift our base lines so we don't need to consider this, taking a long view might be a good idea. But we don't take the long view. We forget the past, we forget the starting points that betray the devastation of the earth even in countries that were developed relatively early. The loss of wildflowers, bees, birdlife and open spaces have been huge over the last 50 years but there is no sense of crisis for most people. It's business as usual. We're blind to change. I don't think he's being ironic there. But to be honest I can't tell anymore. The book features images of vegetables being grown and at the back there's a fascinating introduction to the business of seeds - a business that basically keeps most of the world alive it must be said. A picture of atomic looking curly kale (it looks great but tastes a bit second rate - it only became popular because of a marketing campaign) shows a seed company's demonstration day. 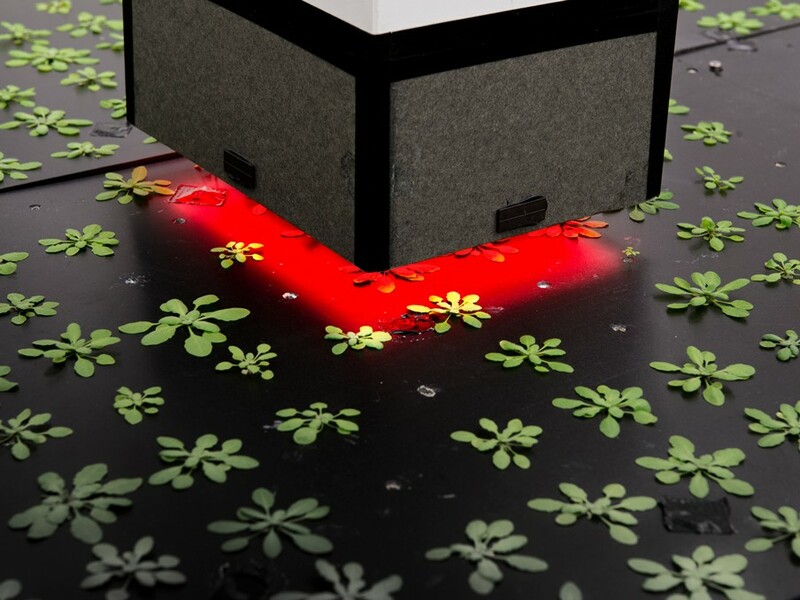 We see plants being tested for disease resistance and the sequencing of DNA. There are bees and x-rays and tissue cultures. It's a fascinating trawl through a world that is hidden to most of us but is also quite beautiful. It challenges both our prejudices against the unnatural, but questions what natural actually means. Which is a good job because every time I see anybody growing the monster vegetables or perfect fruit I see in Seeds I wonder at what unnatural chemicals or pesticides they used to grow them. Perhaps that's a sympton of my own vegetable-growing ineptness or perhaps it's a symbol of the kind of conservatism Haring warns against in his essay (he's not joking. Is he? I still don't know. I guess not. ). Or perhaps it's a bit of both. Or a bit of neither. First the Hate and now the Love! This blog sometimes feel like it's the hands of Robert Mitchum in Night of the Hunter. Yesterday there was Hate and today there's love. Make up your mind already! 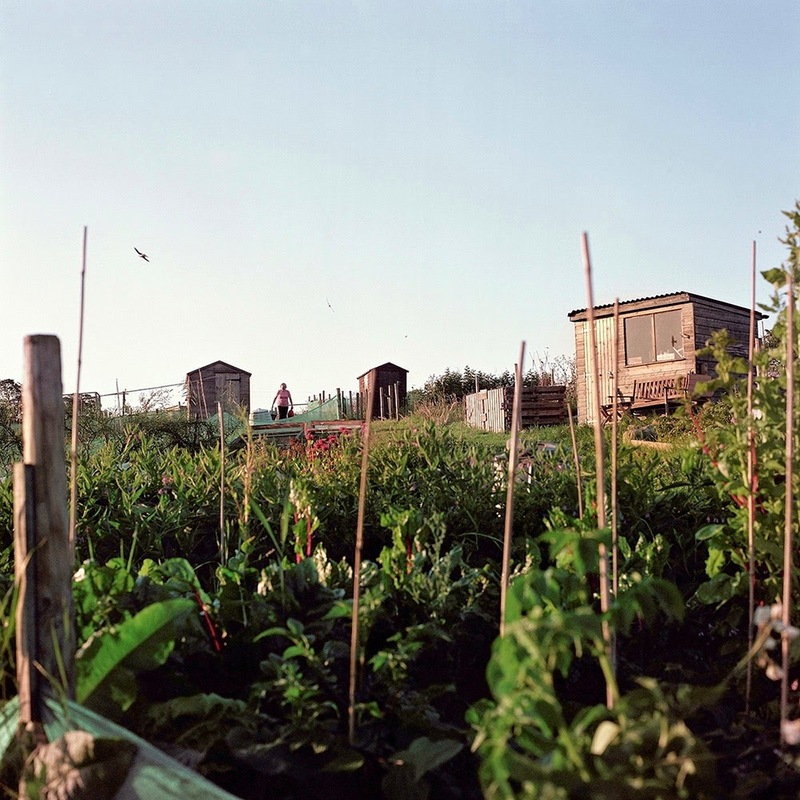 The love comes courtesy of Multistory's Black Country Allotment Story. This is a gorgeous publication; part allotment lore, part local history, part nature guide and part photography, it consists of a a series of 9 coloured booklets (a little bit like A Shimmer of Possibility but in notebook form) that come with a map, a bag of seeds, a DVD and a whole bunch of charm, all packaged together in a specially designed, slightly wonky box - my copy got a bit crushed in the post and I can't quite work out how to put it back together again. . It's not a photobook as such, but is rather a community publication, a gift from Multistory to the allotment holders of the Black Country. Think of Mark Neville's Port Glasgow, but with fresh air, good will and homegrown vegetables added and you're on the right track. One is closer to God in the garden,. The texts in the books come from Susie Parr (her husband is Martin) and they detail different aspects of the allotment. 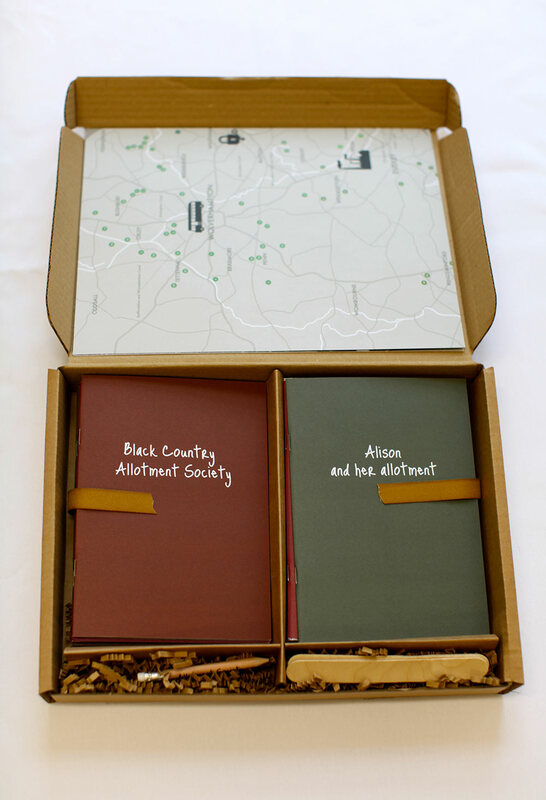 So you get a history of allotments and smallholdings both in the UK and the Black Country. 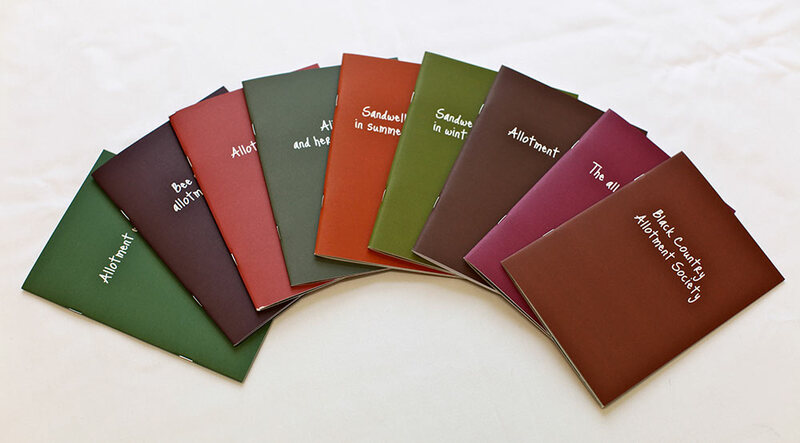 There are booklets dedicated to the seasons and the growing times so it's part handbook. Other booklets look at the weeds, the food and the recipes that are used to cook what is grown. And all the way through are the people who live on the allotments, their foibles, their habits and the food that they grow. It's a multicultural bunch and we see their portraits in the People section. They pose on their plots growing a variety of produce and wearing a variety of clothes. 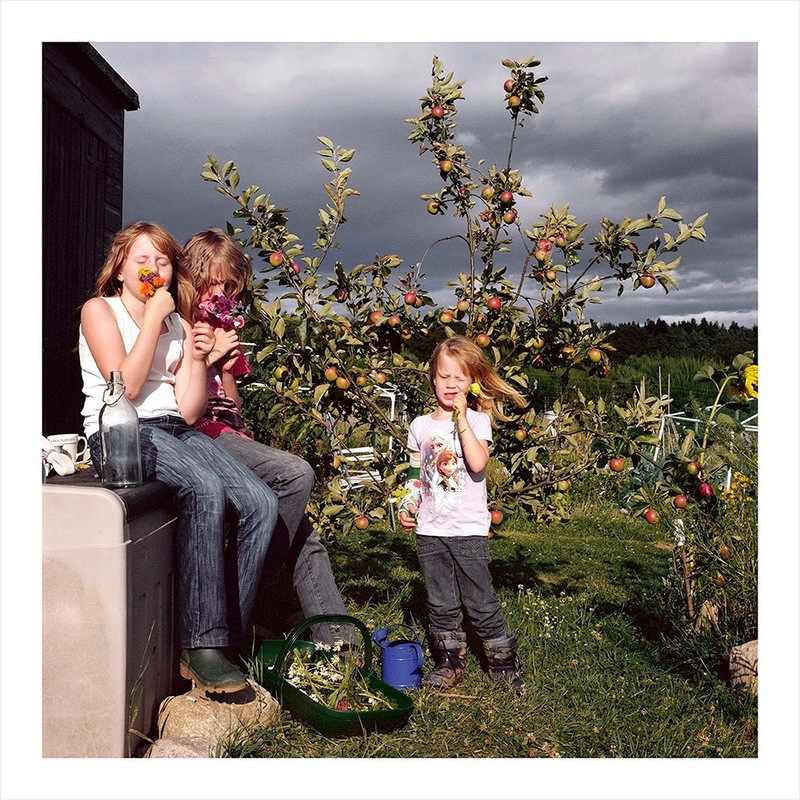 And slowly as we go through the books, their personalities emerge through stories of how they tend their allotment, how they grow their vegetables and the recipes they use to cook their food. The Black Country is a special area in the UK. It was heavily industrialised and it's probably best-known as a place that you drive through on the M5 or M6 motorways. Like most views from the motorway, it's not pretty. This boxed set (and the whole Multistory project) puts forward another view. So it comes with maps; maps that detail the placing of allotments in the region, that make places like Wednesbury (a place I only knew as a Motorway exit) start to become lived in and add an altogether different dimension that gets beneath the skin of the place in a very direct and positive way. 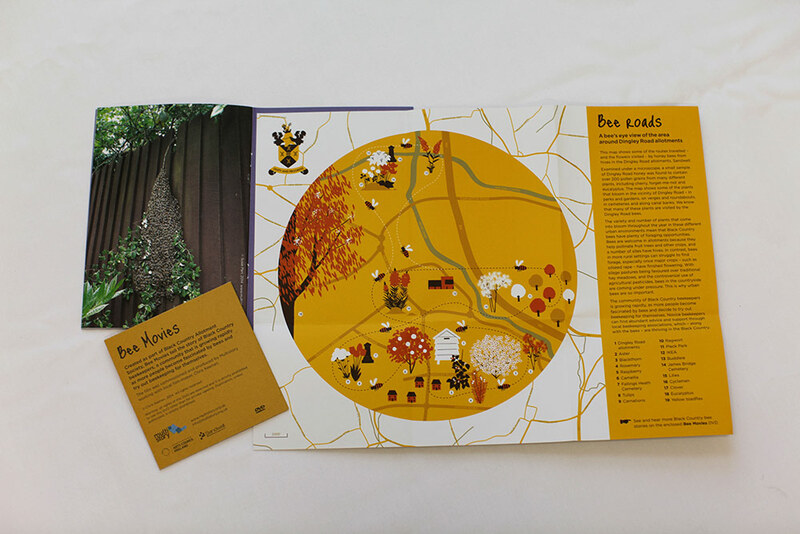 Another map shows the flight of a Bee (there's a booklet and DVD which I have yet to watch dedicated to beekeeping) around the area. Here the plants, shrubs and trees the bees feed on take precedence over the roads, the IKEA and the motorway. As they should because it's a bee's eye view of the world. So Allotment Story is a simple challenging of our expectations and our assumptions. It's a book where the world revolves (as it does in reality) around the growing of food and is shown through the growing of food. 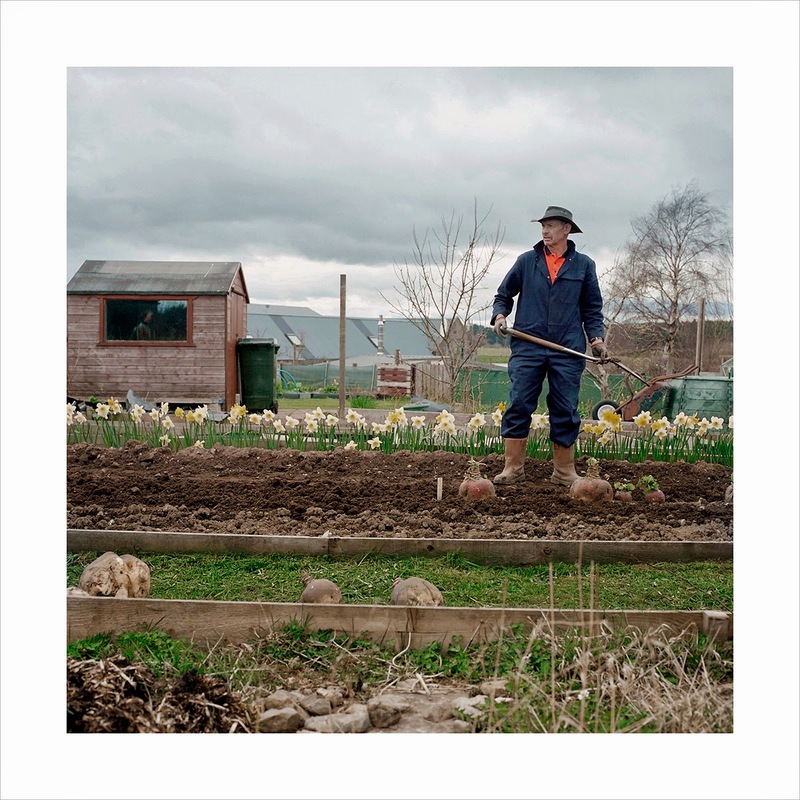 It's not a photobook but the pictures are illustrative, affectionate and take you deeper into the psychogeography of the allotment. I especially liked the pictures of carpets on allotments. Flop a carpet over a patch of grass in winter and the grass will die and you have soil you can plant into come spring. But the carpets people use in these allotments are so different to the carpets people use in my bijou Bath allotment. Similarly, the sheds, the vegetables, the weeds are different. The people, strangely enough, don't seem to be. They may wear different clothes or have different ethnicities but their motivations are the same as anyone anywhere who tends a patch of allotment; it's to get outside and grow something that you can eat or will look beautiful. And you don't get more loving than that. I spent the morning listening to a story on how the Italian navy will no longer rescue migrants stuck in sinking ships in the Meditterranean - and that Europe won't fund a replacement rescue service, and that the traffickers who ship them from the Libyan coast to Italy will continue to pack people into unseaworthy boats with no thought beyond the profit they can reap from this human misery - they provide the migrants with a satellite phone so they can call the Italian coastguards as soon as they get into close-enough waters. There's this idea in photography that you should be close to the people that you photograph, that you should show affection and empathy. I have sympathy for that, but at the same time I get frustrated by people who use this as some kind of excuse to avoid the key issue, who pretend their work is not political, and that their representations are not part of those politics, when they so obviously are. I think this might be a problem in the UK where people seem almost scared of expressing their opinions visually. Ethics and the conceptual get in the way of showing a direct, visual message that hits the nail on the head. And that might be important in Britain - a place where the very idea of social justice and its social expressions, the fruits of 150 years of struggle, (free health care, free education, oh wait that's gone, the welfare state, clean water etc etc) are being stripped away as we speak. How do you show the people who do that? Should there be empathy and understanding, or should we distance ourselves with the academic and conceptual. How can we get a complex narrative across. 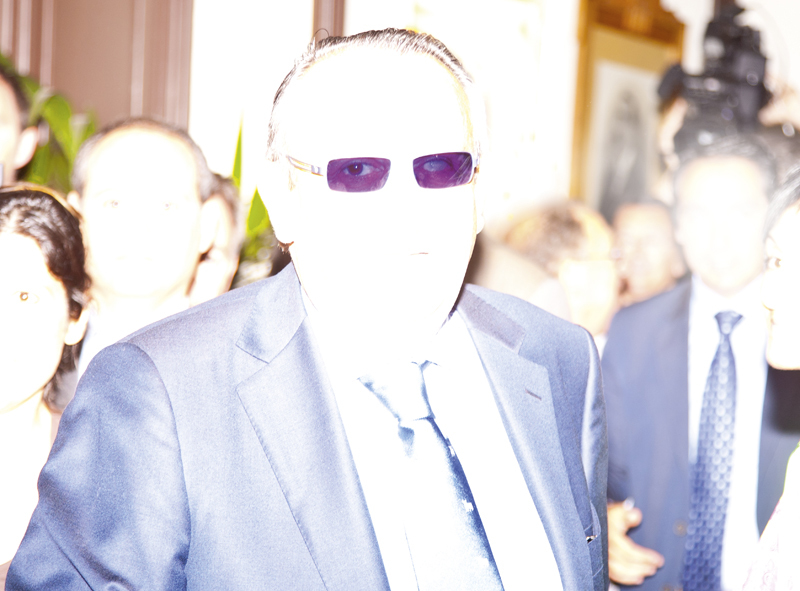 I interiewed Larry Fink back in the summer for the BJP. He had a point of view on this which he expressed in his book On Composition and Improvisation. Part of the problem is that the creation of critical work requires an approach that involves a degree of reflection on oneself, reflection that may not be flattering. At the same time I think there are people who are working, sometimes in quite conceptual ways to reveal the masks of those who sell us all short for their own benefit. CENSURA by Julian Baron (see above) is a photographer, where the harsh light burns away the expressions but leaves little tunnels (often the eyes) that seem to burn straight into the dark souls of the corrupt and powerful. 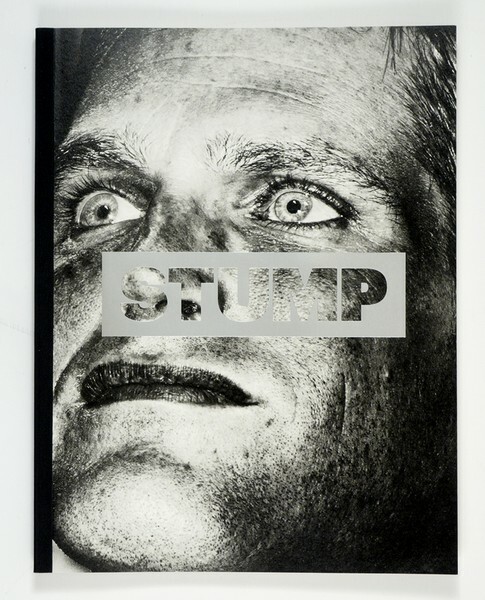 Stump by Christopher Anderson who I wrote about on this blog here, does something different; he shows the masks of America's political elite and in so doing creates one of the great portrayals of political psychois as in the examples below. And then, you get Italia O Italia by Frederico Clavarino published byAkina Books. This is fascinating and unique; a portrayal of a country through architectural details that somehow strips Italy down to its bare, Machiavellian bones. None of this is pretty, but it is effective. And maybe that's what matters in these latest of End Times. 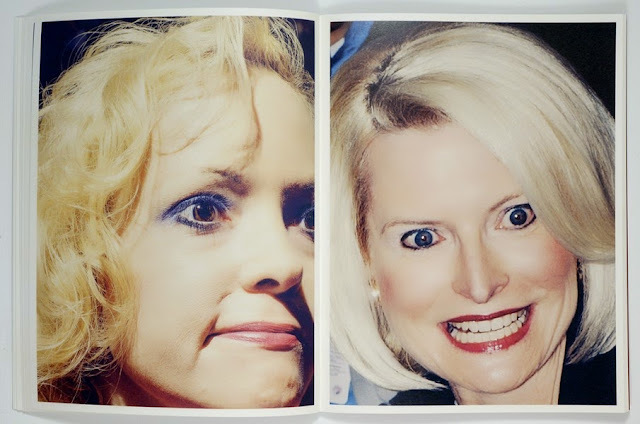 I write a lot about photobooks on this blog. 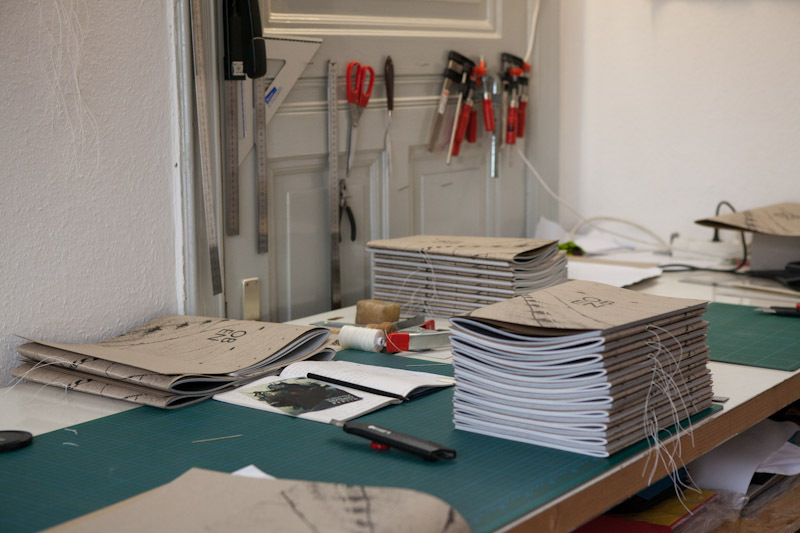 The photobook world is small, a few thousand people, but it is dynamic. Sometimes it's too small and it gets too self-congratulatory. When it becomes most interesting is when it looks out of itself, That's when you get great photobooks that are great books - that touch on the world at large, that tie in with a bigger picture, and touch hearts and souls beyond those of the 10,000 people in the world who regularly buy photobooks. But there are other worlds in photography. What is amazing is how self-contained they seem to be, how if you are happily floating around in one world (photobook, documentary, fashion, food, car, wedding etc etc), you rarely come into contact with another. 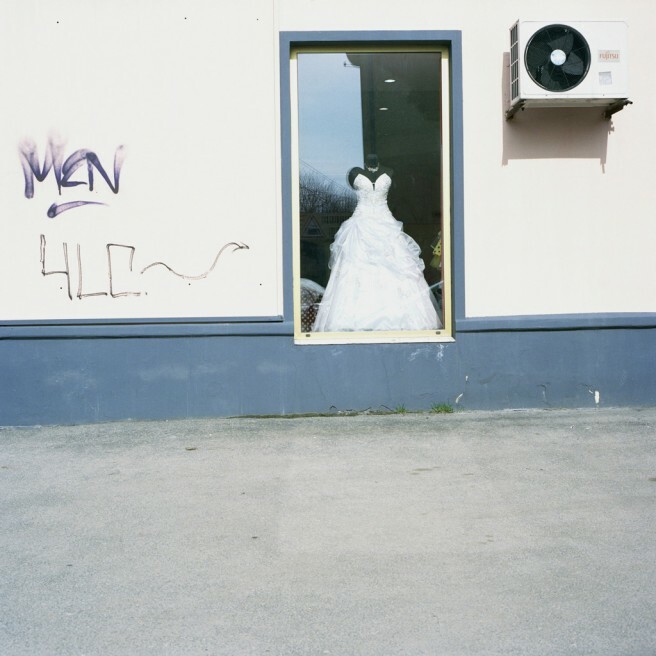 That's when things become boring.Good work extends outside one generic comfort zone and goes beyond photography. It has guts and opinions and is never, ever easy. Last Friday I had a day where photography went well outside my comfort zone into worlds that were far beyond my ken. 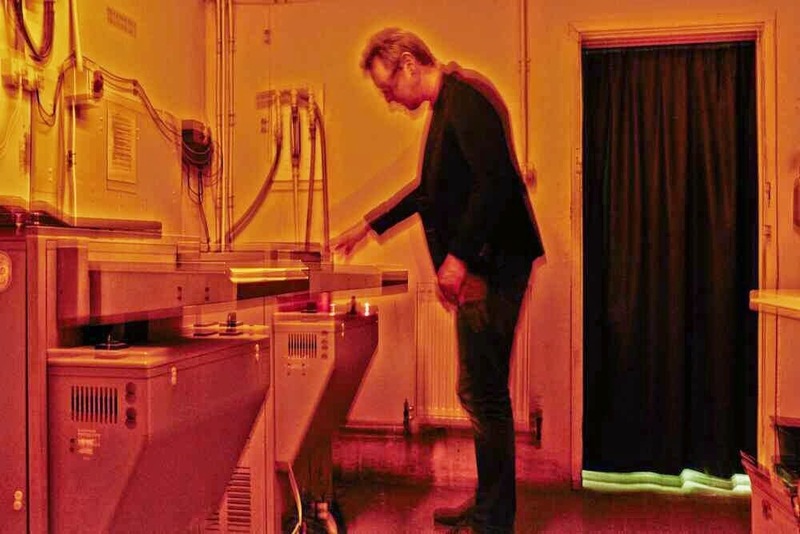 The deal was I had to write about x-ray artist Hugh Turvey for the RPS Journal. 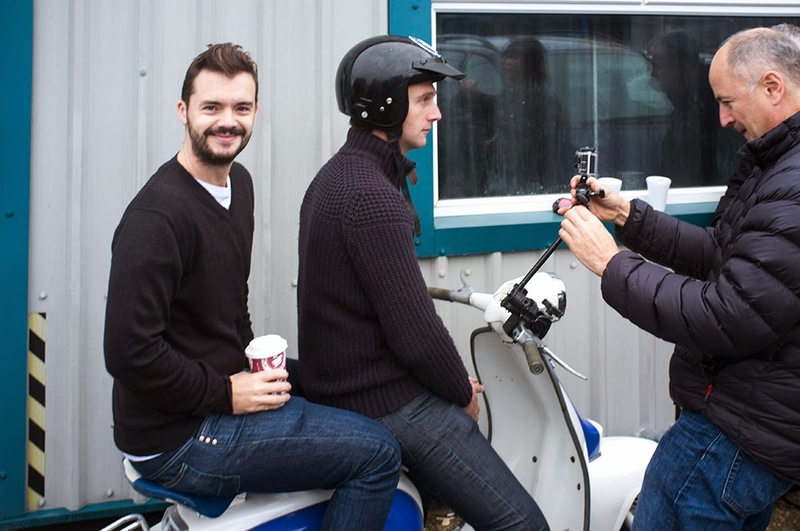 He was being filmed by the BBC for Blue Peter (if you're not from the UK, Blue Peter is a children's TV institution - that's the presenter Barney Harwood smiling at the camera. Hugh is in front). So off I went to Turvey's offices near Luton Airport, the only airport in the UK to have a song made in its honour. 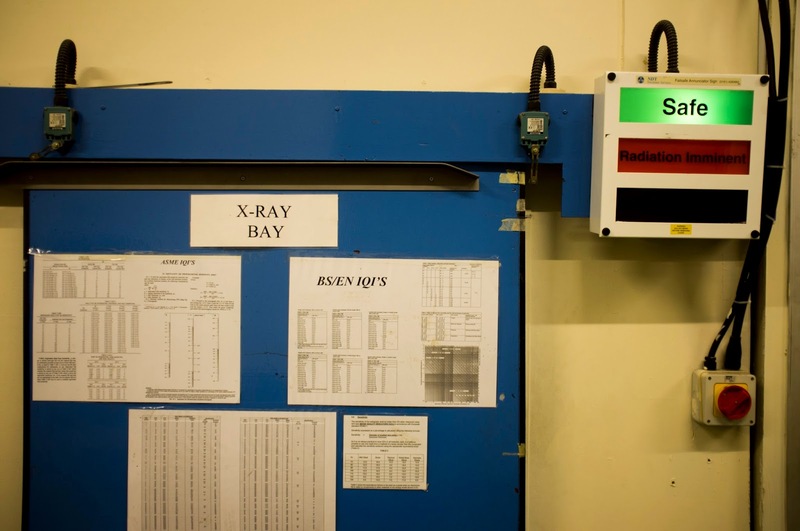 The office was in a lab where they do non-destructive testing of aircraft parts. And there in the middle of it were Hugh and Artemi Turvey making a series of 20 x-rays of a 1961 Lambretta which would then be stitched together into one giant image. One of Hugh's friends, an expert in tomography (CT scans) was there just to watch, there was a guy called Dave who brought in the x-ray scanner (like an Imacon for x-rays) which was making the scans that Hugh and Artemi would then stitch together into one 3GB file, and photographing everything was Paul Stuart (who took the picture at the top of me by the x-ray developing tank - did you know unprocessed x-rays are white?). It was the weirdest mix of image making I have had the pleasure to witness and completely fascinating, a different world but somehow connected. And isn't that what makes things interesting and where the magic comes from, when you have those unexpected links happening between different fields; in this case between different areas photography, art, science, food and industry. You can watch Hugh Turvey on this Thursday's Blue Peter. Now all I have to do is write this up in coherent form. Here's one I made earlier. Transmontanus by Salvi Danes is an elegant little book of black and white images by Salvi Danes. Published by Ediciones Anomalas in Spain, it tells the poetic story of returning to the landscape one knew as a child and seeing it with fresh eyes, reliving the experience and being of the place you once knew and feeling the eddies of those past experiences mingle with the sensations of the present. It's a book where the textures of the landscape, the feel of the wind in your hair, the looking and the waiting are written into the images. They seem almost nostalgic and a little bit magical - there are stairs that go nowhere and doors that hang in the middle of fields. But there are also the piercing eyes of the present. At times Danes seems to yank us away from our reverie into the here and now. We are yanked out of our naive childhood memories, memories that are invented and unreliable in any case and placed back into the harshness of the immediate present. Landscapes are invented says Danes, and memories, childhood and time are invented too. Transmontanus is a visual depiction of those memories that is quiet, elegant and rather lovely. And check out Danes' other work, especially Blackcelona, here. "Maybe life here isn't that good as in Western Europe but honestly, Slavs never lived good." That cuts to the chase of Kate Nolan's Neither, a book about the women of Kalingrad - a Russian exclave stuck between Poland and Lithuania. It's an isolated place with borders that were closed at the fall of communism, a place neither part of Europe nor part of the Greater Russia it belongs to. It's a place, like most places, where it's difficult to be a woman and that is what the book is about; the expectations of being the woman you're supposed to be at the expense of the woman who you are. Kalingrad wasn't always Russian. When it was German territory it was called Königsberg, but following the Second World War, the Germans were forcibly removed and Russian transmigrants were put into their place. It wasn't an easy move to make. Nolan sources archival interviews with some of the women who moved into the ruins of Königsberg in 1945, the first steps into a hostile and desolate city that was still in a state of upheaval. And we hear from the present inhabitants, women who are on de-facto Russian land but not completely part of Russia, who are in a massive state of in-betweeness, neither East nor West, but somehow chugging along with live in one of the weirder geographical accidents of history. The no-man's land nature of Kalingrad comes across in the pictures. 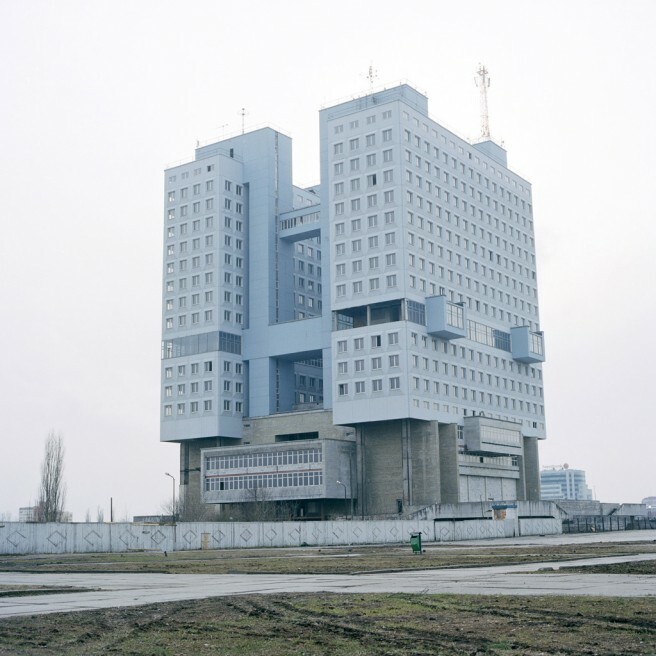 Brutalist architecture and Soviet interiors are visible, as are Communist era cars and women who are living fully up to the 'Slavs-not-living-good' line. Old pillboxs, men in uniform and rows of new apartment blocks come and we end with a woman in a leather jacket and black skirt looking out of the decaying window of a tenement stairwell. Neither is a really smart book that is beautifully produced and thought out (though the strip of pages at the bottom feels fiddly and redundant). It's another example of a book re-examining the aftermath of the Second World War, this time from the perspective of the Russian women who moved into the city in 1945 and the women who live there now. And it is these perspectives that appear in the cracks of the image, mirroring the texts past and present. 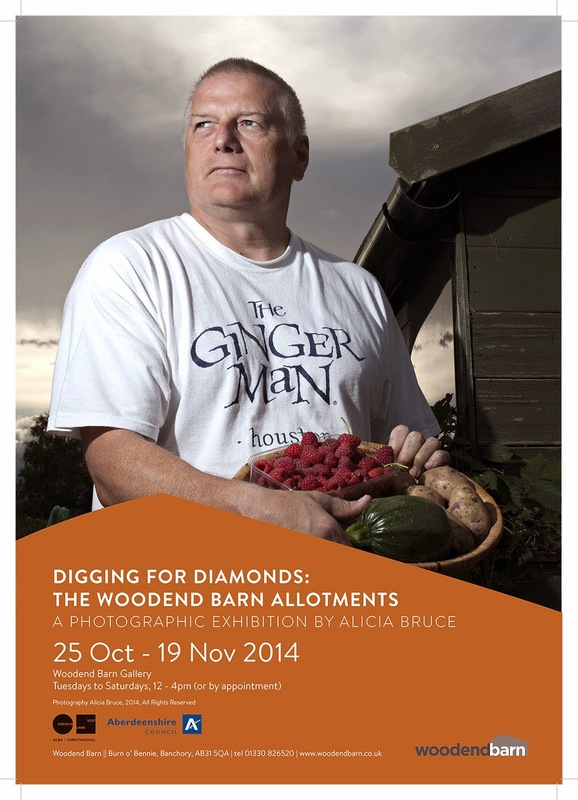 The pictures here are from Alicia Bruce's Digging for Diamonds, on show at Woodend Barn (and on the allotments) from this Saturday onwards. I love allotment pictures because I like allotments; the chaotic randomness of them, the DIY disasters of homemade sheds, raised beds and make-do-and-mend growing conditions. The great thing about British allotments (compared to German or Austrian ones) is they are full of this chaos. You do get experts in allotments who grow their food on an semi-industrial basis and know their way around bugs, pests and weeds like a vegetable growing Capability Brown. 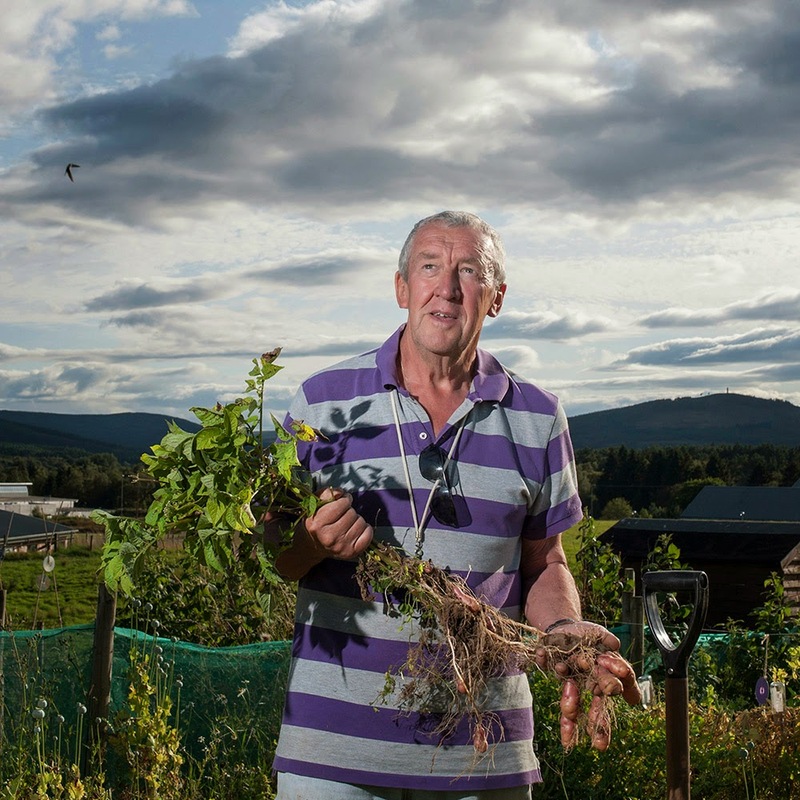 But for the most part, the people who work on their allotments chaos their way through life. Even the ones who really know what they are doing and create harvests that last year long do it through a kind of allotment intuition. Their habits get engrained and the allotment becomes a strange extension of self. And then the allotment becomes a kind of geographic rorscharch test. It is a window to the soul, a place where you can read who somebody is through the lines of their raised beds, the vegetables that they grow and the flowers that they show. Think of the weeds and flowers as the id, the fruit and vegetables as the ego, and the tunnels, beds and netting as the Superego and you have a precise and scientific analytic tool that, from my observations at least, covers every neurosis and personality type. Add in the sheds, the handling of vegetables and the relationship to the earth and you have the entire history of psychoanalysis covered with every phase of life apparent in the interaction between allotment holder and the soil. The allotment then is a form of therapy, and it is so much cheaper, healthier and more effective than the one where you lie on a couch. Anyway, Bruce's lovely pictures show both how people interact with their vegetable spaces as well as featuring a series of vegetable trophy pictures. They are on show at Woodend Barn, which is a community arts space right by the allotments. 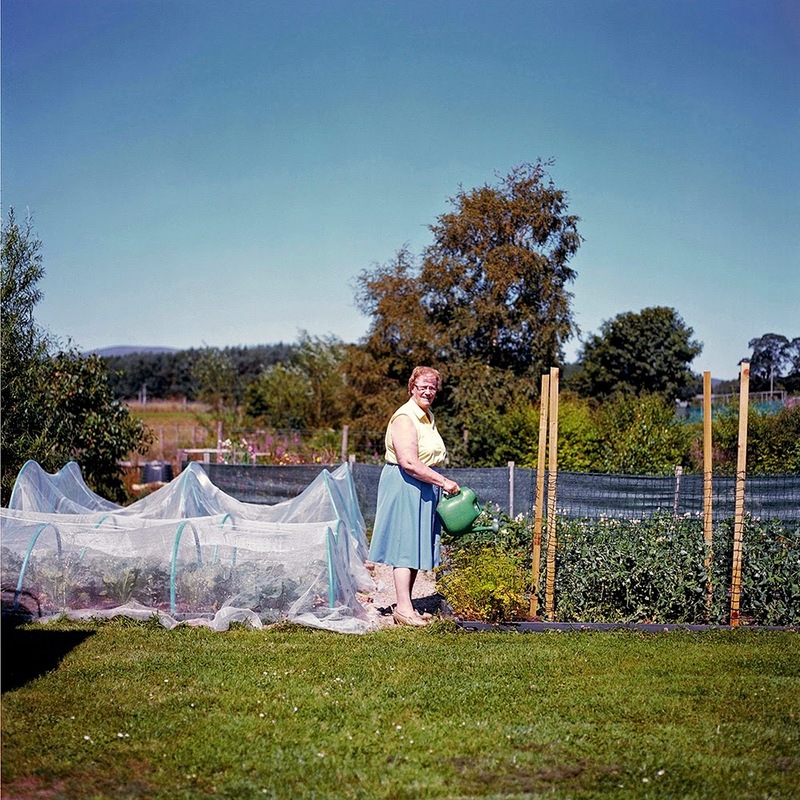 Allotments and art! There's a step in the right direction. 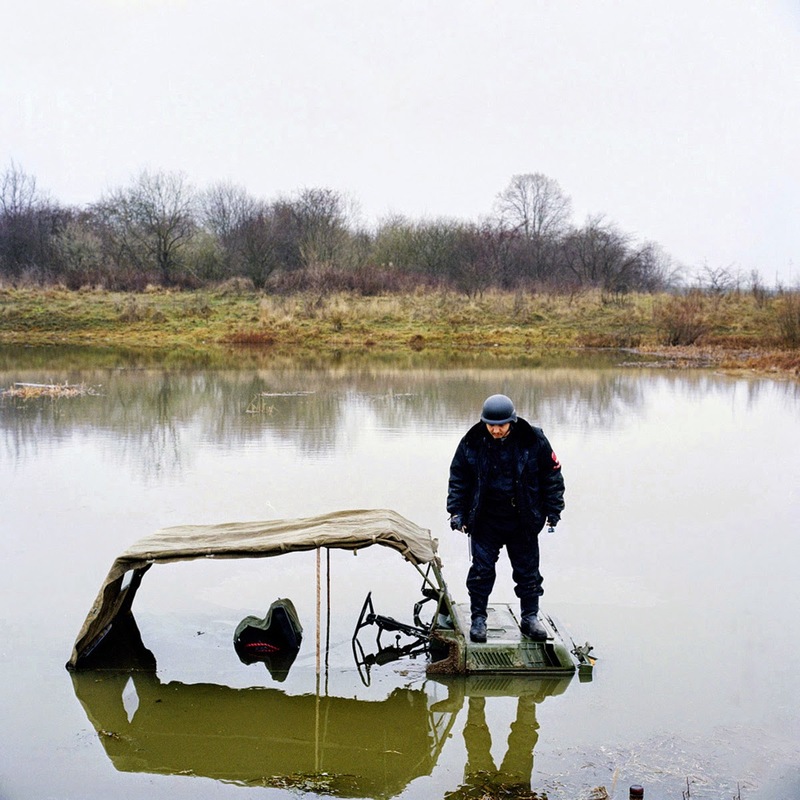 I met Mark Mattock at a the Bristol Photobook Festival and the propaganda events where he gave me his latest book, The Angler Who Fell toEarth. That tells you where the book is coming from. 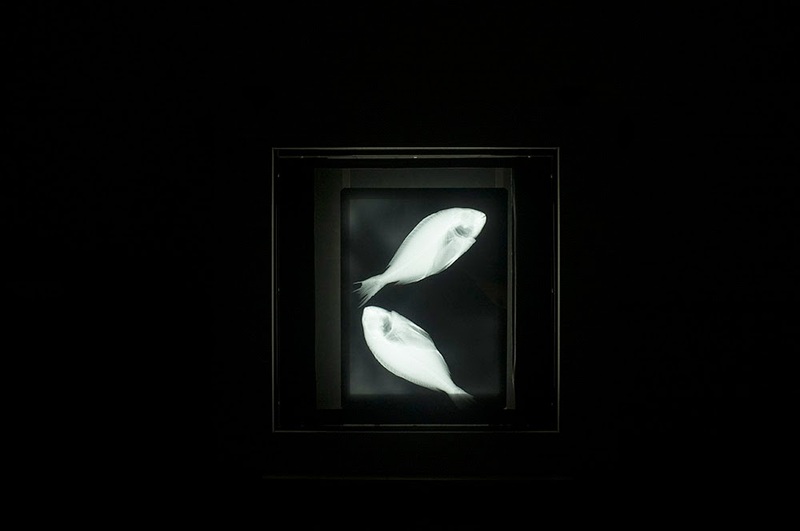 It’s a book that on the surface seems to be about fishing, but with an otherworldly twist. It’s a musical riff from the city to the water with pike, barbel and lures along the way. But aside from the angling, it’s a book about rivers; about walking along them, being next to them, looking into them. It starts with an spread of leaves and tree roots and snail trails that look like they are suspended in sunlit water, or is it window pane lit from the inside. It’s not clear. It’s one of those pictures where stars and galaxies mix with the leaves and roots to give a sense of mystery. And it’s exactly that sense of mystery that is what’s best about the book, a mystery that replicates why rivers are so wonderful. I spent my day yesterday on the lovely River Dart and can see in Mattock’s picture a sense of shared experience; there are the dark shimmers of water that you look at with the sun in front of you, the leaves on the water, the beautiful but chemical-looking swirls of scum that line up in the eddies and the pools. A beautiful pairing of shimmering current bordered by reads is paired with the ripples of a horse’s eyebrows. There’s dark water and there’s light water, rolled up coils of undergrowth and seeping pools on damp water meadows. A pair of swan wings add a sense of the essential role of rivers in death, while a feather sitting in a bed of blown-off dandelion seeds flicks over to their life force. They are another way of seeing the world, a natural counterpoint to the roads and highways that sadly shape our lives. So we see the viaducts and bridges, the graffiti daubed tunnels that really are another world to that of the road above. Because Mattock is an angler, we also get that side. There are lures, and pike and barbel. We see the shadow of Mattock fishing and we see the journey he takes to the river from his home in London, the mix of the urban and the rural. There are references to his children and his childhood and always to fishing. I like fish, but I like rivers more. I live in Bath where the river Avon flows and every week I swim in, walk along or boat on the river. Every week I stare into the still, dark water or lose myself in the currents of Warleigh, Pulteney or Bathampton Weir. I listen to the spray, and gaze into the boiling surges. And I never get bored doing it. Being by water is something that’s in our blood, something old and inescapable, that touches the parts of us that lie beneath. And that is what Mattock has done with his lyrical book; he’s captured, in a very visual and very beautiful way, what it is to be by water. And if that sounds too romantic, I’ll end with a found note that is reproduced in the book. ‘You have been so BUSTED! Still it’s a very romantic setting!! What camera do you own and what does it say about your personality? I share a camera with Beyonce, a Fuji x-100, but then I share that camera with everybody who wants a cool-looking camera. And I'm not sure that's a good thing. 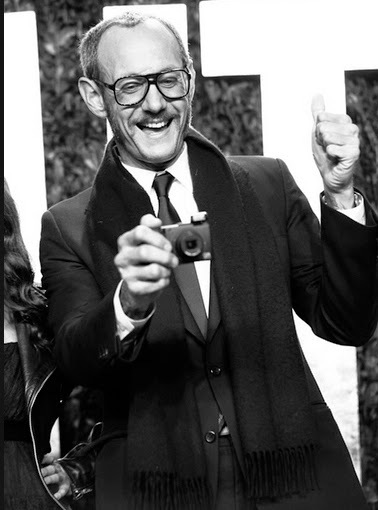 But we get a cool looking camera and get to share it with Beyonce and Jay-Z, so that ain't bad; I used to have a little Ricoh and so Terry Richardson! Sharing with Bey is way better than sharing with Tel. 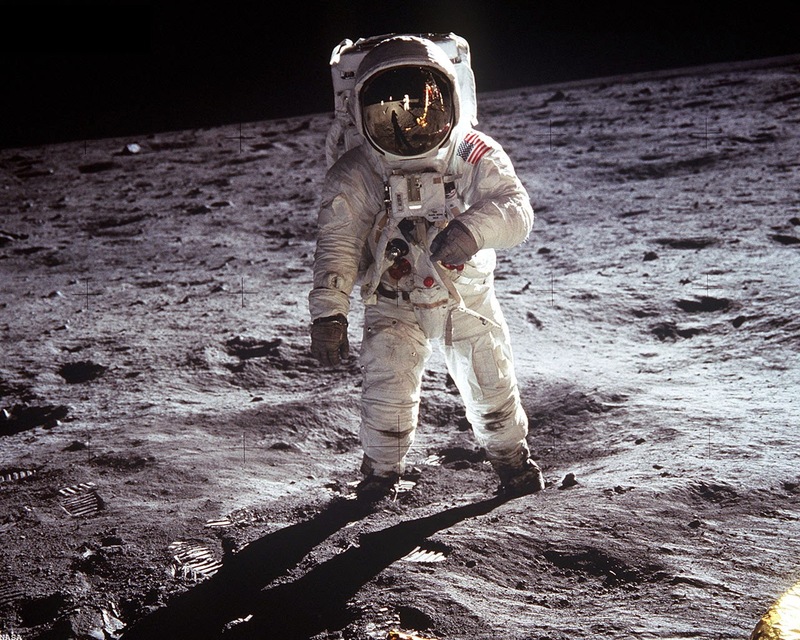 But then I've still got a Hasselblad and Neil Armstrong had (no getting picky here) a Hasselblad on the moon. And you don't get cooler than that? Unless you're talking Robert Capa. 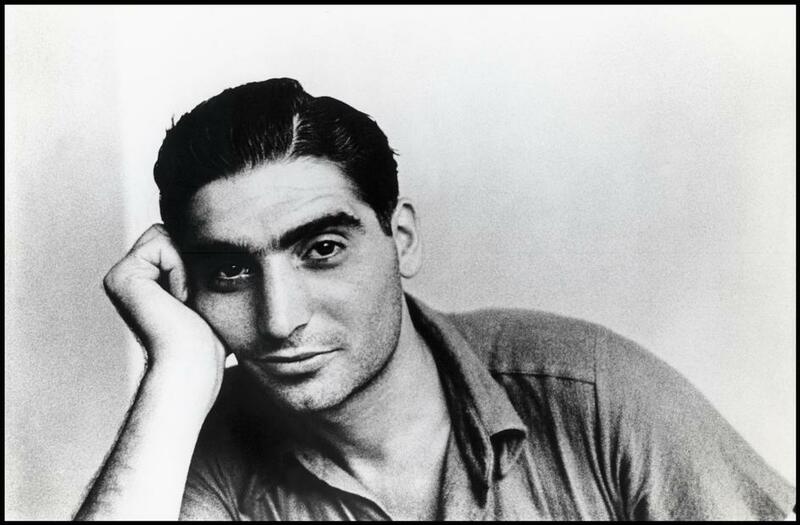 There's no-one cooler than Capa and Capa used Contaxes and I used Contaxes too. What a Dreamboat! You get weirder than Capa though. I used to have a whole bunch of electric Rolleis. I liked the electric Rolleis (until they broke) and so did Roger Ballen? Which makes me an amalgam of Beyonce, Ballen, Armstrong, Capa and Tel. Which, with a few misgivings along the way isn't bad.